An everyday Bhutanese is for the most part simple, and does not require codified language or tact to be demystified or clearly understood. That’s generally speaking, about a person’s daily routines, his or her likings and to a certain extent whether the person is a true Manchester fan or a Chelsea loyalist. With this new introduction, every average Sonam, Dorji or Dema now dons the mantle of the mysterious voter, wielding the power to bring people to power, bring in new leaders and government, and likewise, take out the old leaders and government. The ground rules are pretty simple here. What is not simple are the voters themselves, ordinary as citizens and least-bothered by nosy politicians, but as the extraordinary members of respective electorate put on a pedestal in different constituencies by these politicians; they are hard to figure in their election-empowered avatars. In 2008, this collection of voters nested in high hills, trotting in the valleys, and randomly posted and displaced in the country’s numerous pockets brought down the supposedly titanic party of that time, the People’s Democratic Party (PDP) and gave power so generously to the-then meekly portrayed Druk Phuensum Tshogpa (DPT), who in all earnest went around the country harping on the need to have a healthy opposition in a democratic system. The ‘colossal DPT’ that it became after sweeping 45 out of 47 constituencies, it never aimed to explosively make a touchdown as the ruling government bestowed with absolute majority by the very confusing voters who cannot be predicted, until the final hours of winding up the process and results. This year, the four parties of two old players and two new ones so far, have been witnessed to playing every possible angle of political devices to please, satisfy, and keep enchanted the voters. And in the case of DPT and the PDP, it would be so that they are not shocked by voters with unforeseen ‘surprises’. 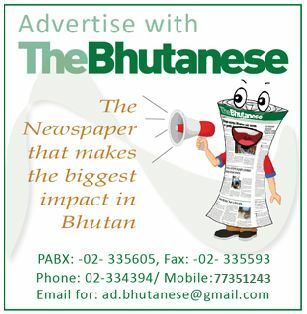 The DPT and its president have tagged onto the ‘in-the-long-run and for the long haul’ speech, whereby, the party president is personified as ‘leader-irreplaceable’, one whose qualities remains far outmatched by any candidate or party leaders, to represent Bhutan in the outside world, to negotiate fair-deals for the country’s welfare. The list also mentions what was achieved by the party when in power, and how it stuck to keeping promises pledged during campaign 2008. The former Opposition Party and the new parties had all the arsenal at their disposal to poke holes in every debate, common forum or campaign speeches to the common electorate to sweep the tide against the former ruling party. This, might very well have worked as rejoinders timed to strike with laser-precision against contesting candidates at public forums, but it also backfired in a way that some of the common forums have witnessed very poor attendance or none at all. This, as reported locally by media, reflected badly on the voters who felt that as people in rural settings, who have nothing more important to do than attend to their fields, they gave up time to witness people from urban areas slinging accusations and digging faults at one another. The bare truth of all these, in the end, turned out to be the partial or even complete unawareness of the village voters of what topic offended who, and who didn’t do what assignment or project properly. In the campaign scene, certain parties over-simplified themselves, and it seemed to have annoyed folks who thought that they were called to attend speeches about how familiarly downtrodden they are, and that is why votes should blow in the direction that is as ‘simple’ as they are. The incumbent opposition party campaigns seem to have all the potential to work out well with the voters in its many forms, vis-a-vis, civil servants for whom very pleasing and favorable outcomes were promised, farmers and the rural lot – the occupationally pleasant conditions and infrastructure have been pledged and the women folk and youth for whom generously-compensating offers have been spelt out and announced in all boldness. Apart from the politicians’ pledges to harness the best of security and sovereignty for a nation who ‘received democracy as a gift from the throne,’ it would remain a well packaged and deeply-shrouded enigma as to which voter bought what and which party they will hail to power.